In this episode of the TiLT Parenting Podcast, I sit down with Dr. Jenna Flowers, a licensed marriage and family therapist, author, and speaker, and the woman behind the fantastic new book, The Conscious Parent’s Guide to Coparenting: A Mindful Approach to Creating a Collaborative, Positive Parenting Plan. Dr. Jenna’s book is aimed at helping parents who are no longer together design a healthy alliance and share their parenting responsibilities in a way that best supports their children. 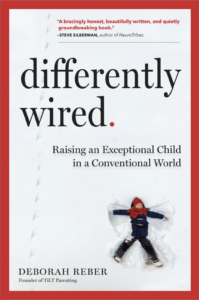 In our conversation, we talk about the extra considerations for those parenting differently-wired kids, kids for whom consistency and support is critical to their healthy emotional development. Dr. Jenna also explains how parents of atypical kids can foster a structured, supportive environment in both homes, as well as shares her advice for things parents can do right now to strengthen their relationship with their co-parent, whether together or apart. I found our conversation super interesting and relevant, even for those of us whose partnerships or marriages are still intact. I hope you do, too! About Dr. Jenna: Dr. Jenna Flowers is a licensed Marriage and Family Therapist, Author, and Speaker. She completed her undergraduate studies at the University of Michigan. She then graduated with her MA in Spiritual Psychology from the prestigious University of Santa Monica, and Doctoral Degree in Psychology from the professional psychology school American Behavioral Studies Institute. Upon completing her Marriage and Family Therapy licensing board examinations in 2006, she has been in private practice in Newport Beach, California. Her new book The Conscious Parent’s Guide to Coparenting was published by Adams Media Publishing June 2016. We’re happy to be highlighting the work of Eye to Eye this week. 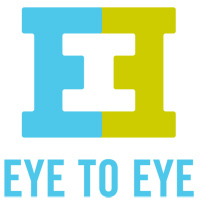 Eye to Eye’s mission is to improve the life of every person with a learning disability. They fulfill that mission by supporting and growing a network of youth mentoring program in the US run by and for those with learning differences, and by organizing advocates to support the full inclusion of people with learning disabilities and ADHD in all aspects of society. Click on the image the left to learn more!